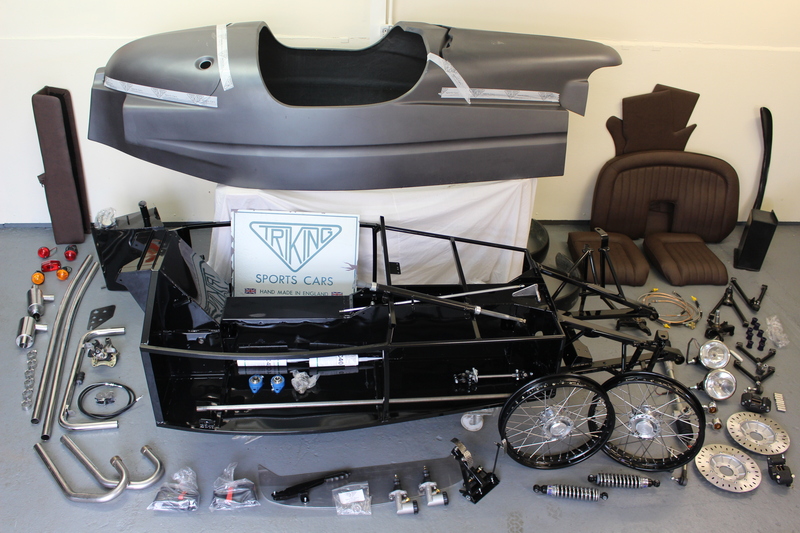 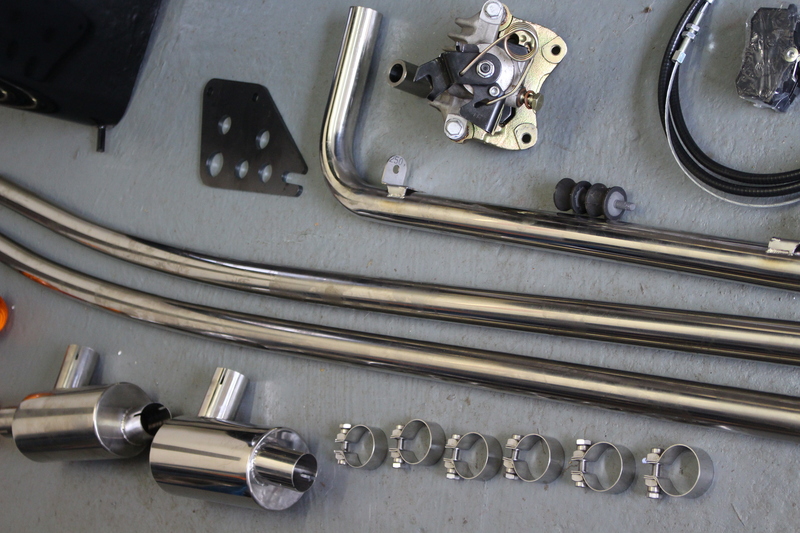 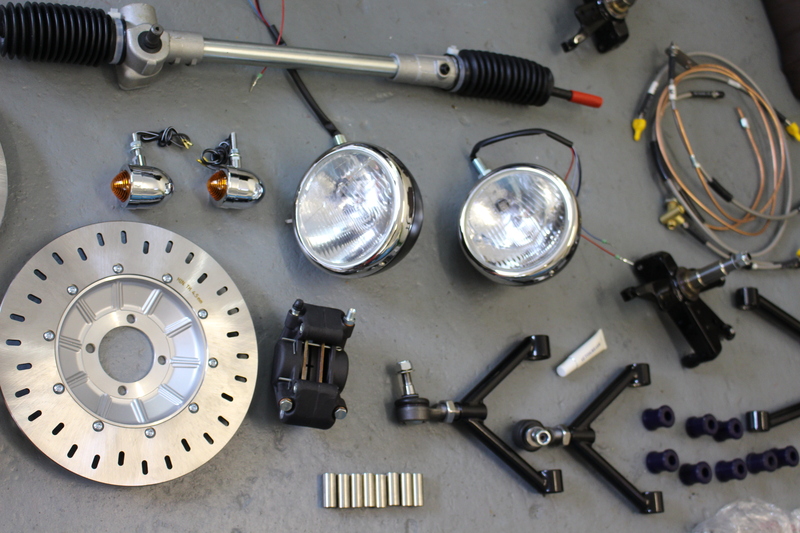 Triking Comprehensive Kit, Includes all significant parts required to Construct a basic specification Triking, Built-to-order Please contact us for further details or to order. 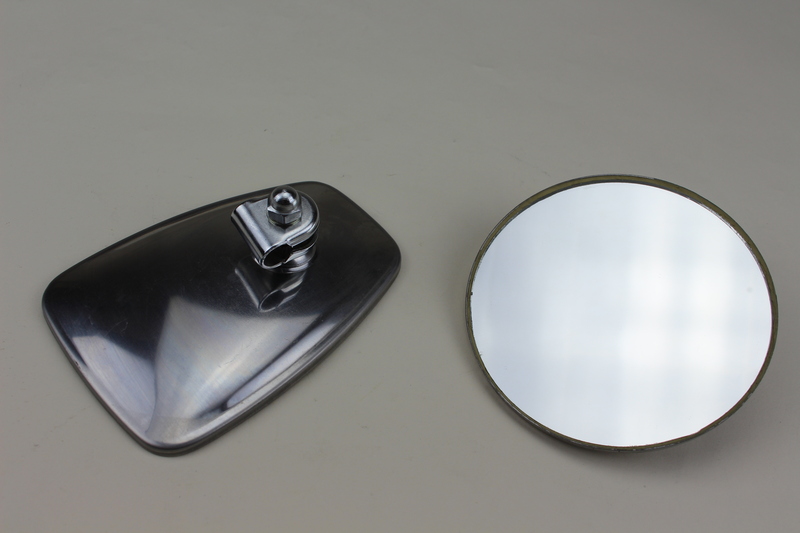 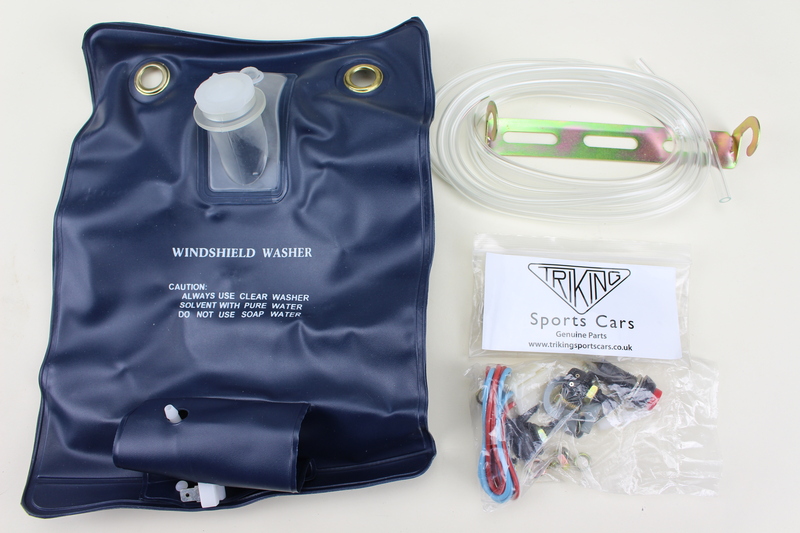 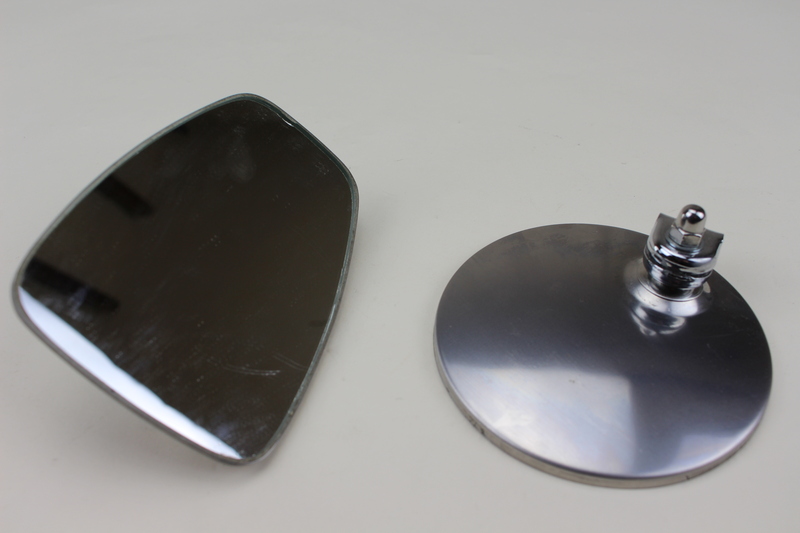 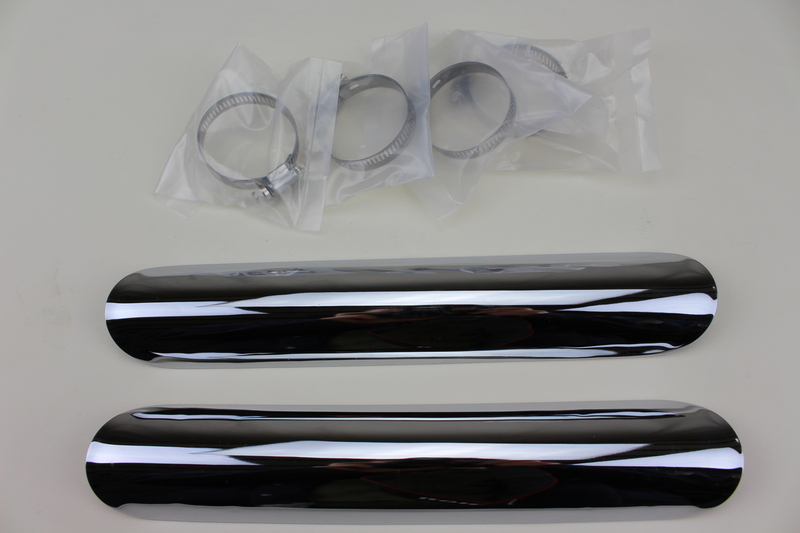 Complete windscreen washer kit, Compact and easy to fit. 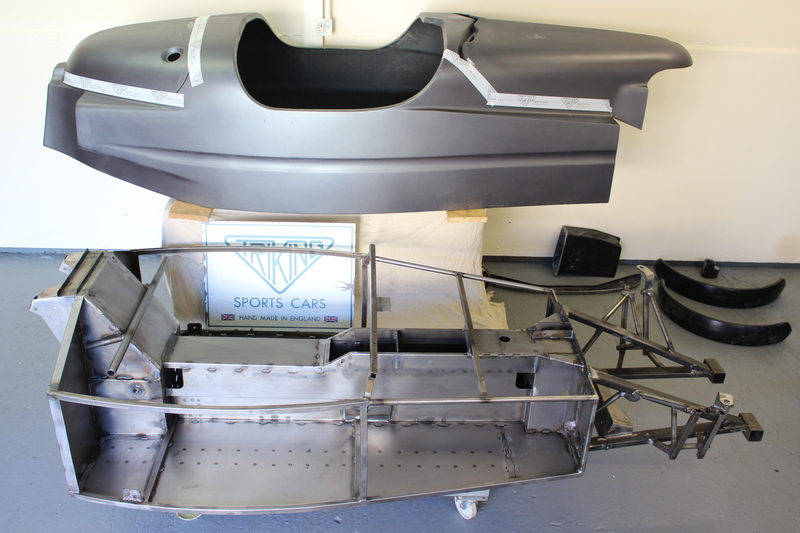 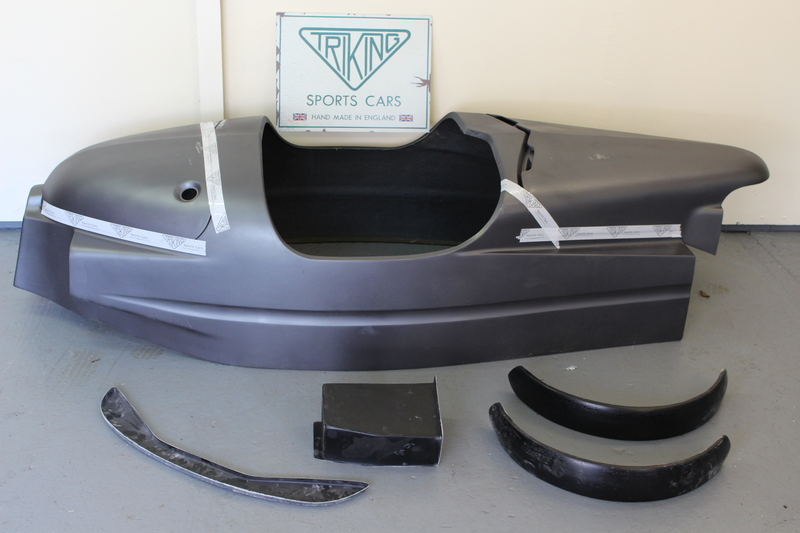 Type 3 Bodyshell / panel set, Latest refinement of the Triking body design with detachable rear moulding and increased driver room. 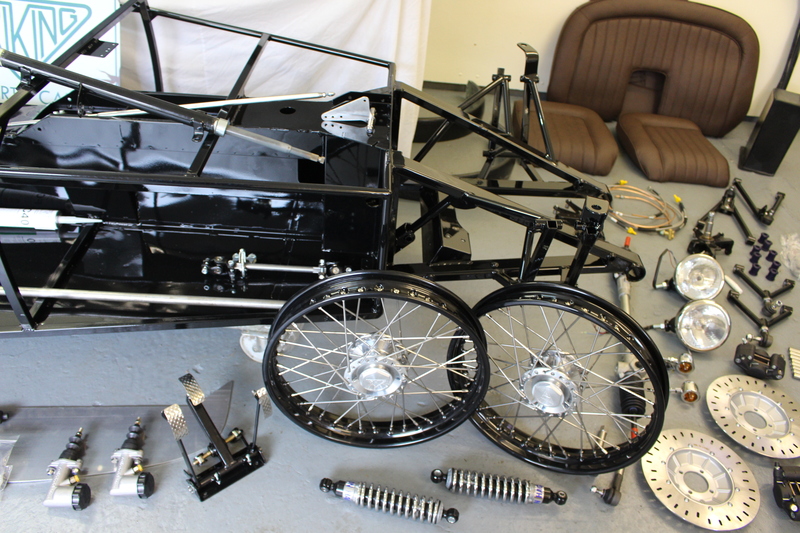 Triking chassis / body Kit, Complete chassis and Type 2 Bodyshell set, economical and flexible option to start a Triking build, Compatible with all Triking options. 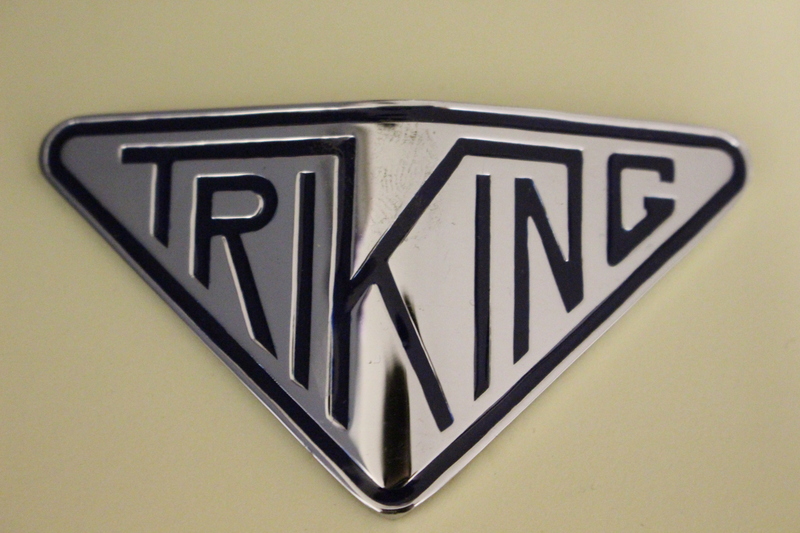 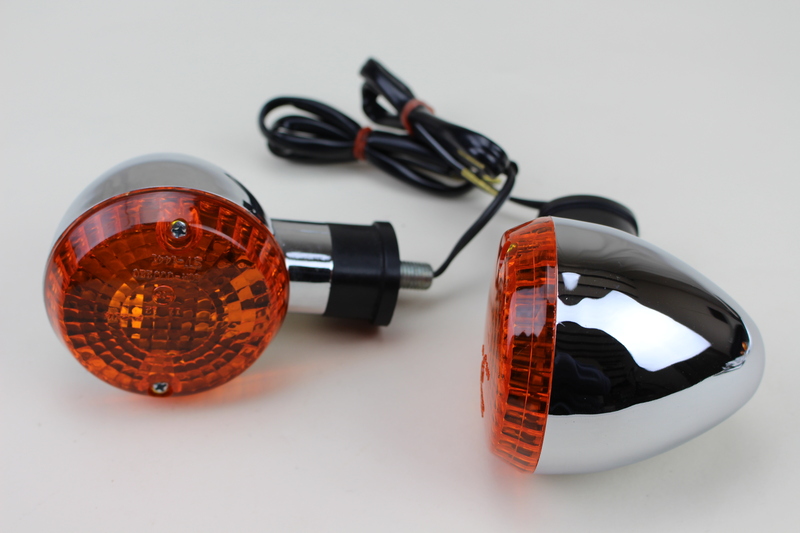 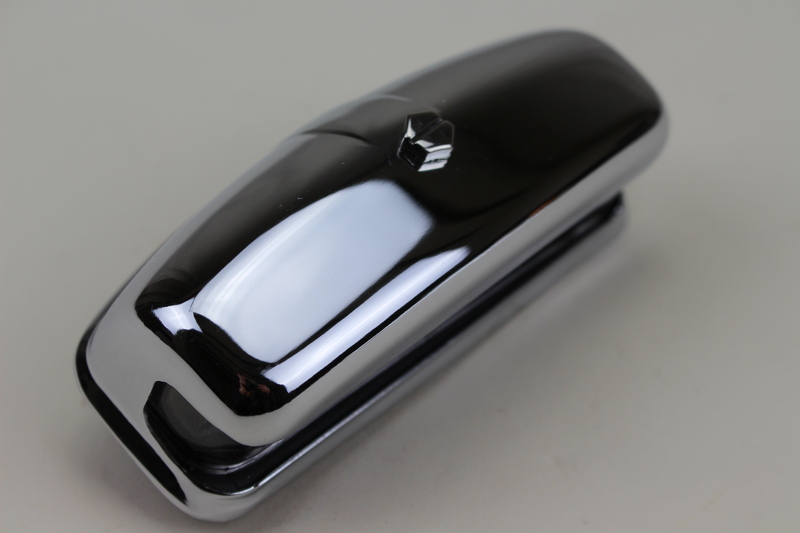 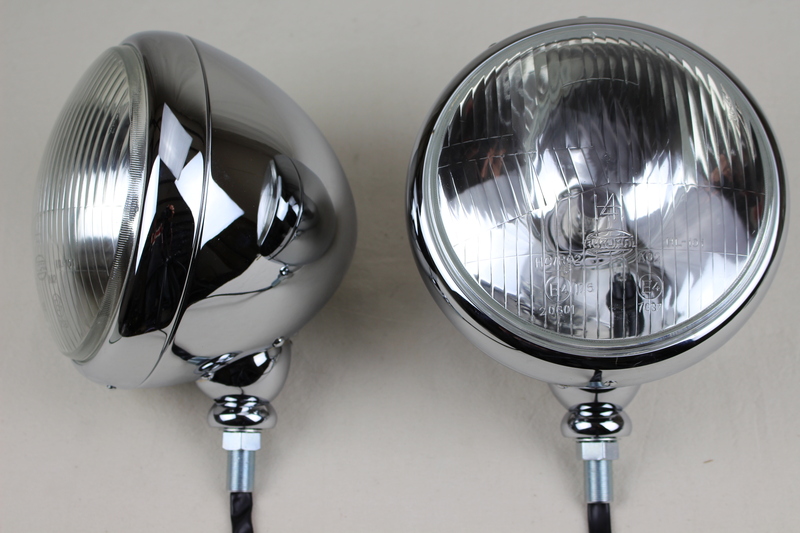 Chrome on Brass Number Plate Light, Classic vintage pattern, Supplied with bulbs. 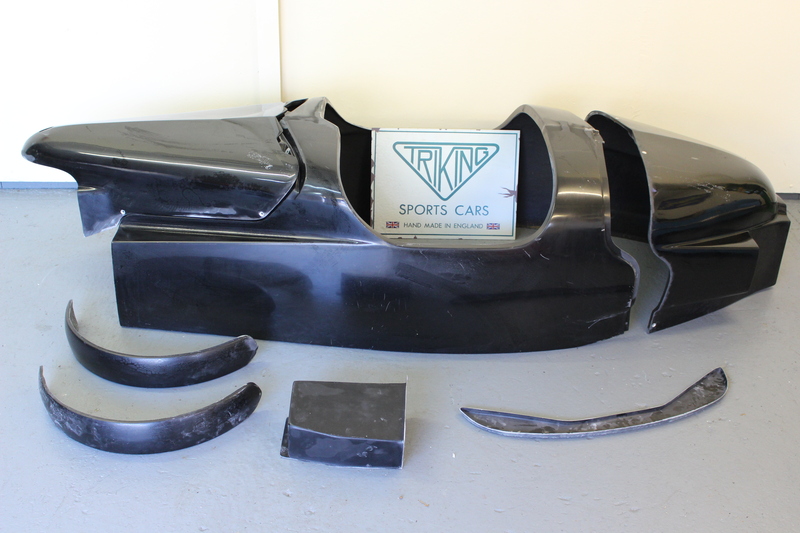 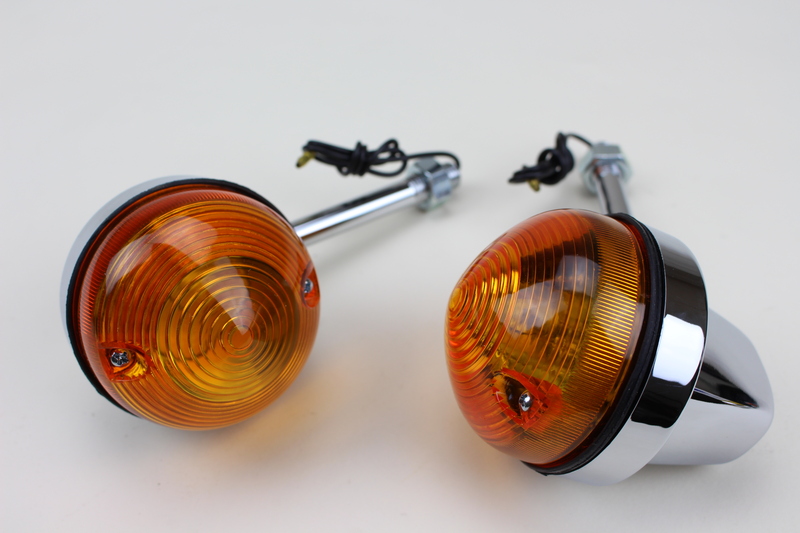 Standard fitment on early Trikings, suits all models.